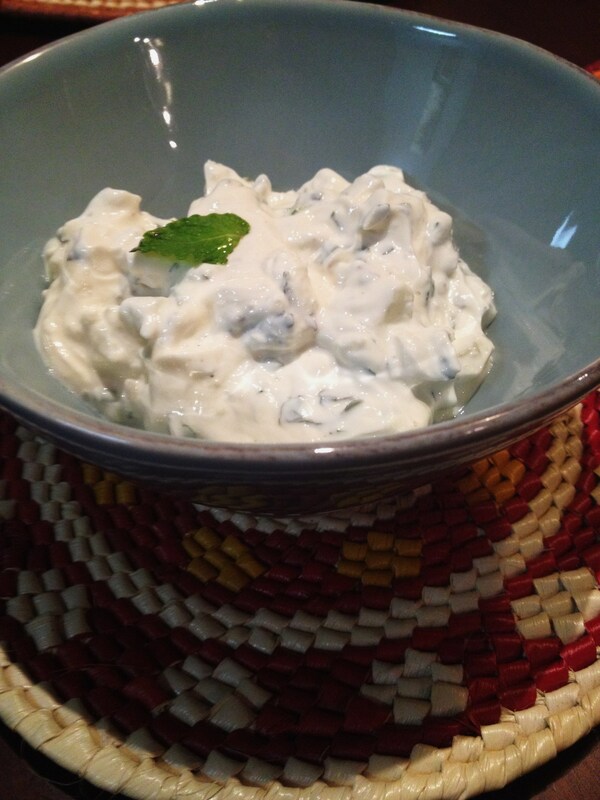 This is a classic Greek sauce, that is served cold and is made from plain yoghurt, cucumber and mint and it pairs perfectly with grilled meat. It really brightens the dish and gives your taste buds a little kick! But best of all, it takes all of 5 minutes to prepare! 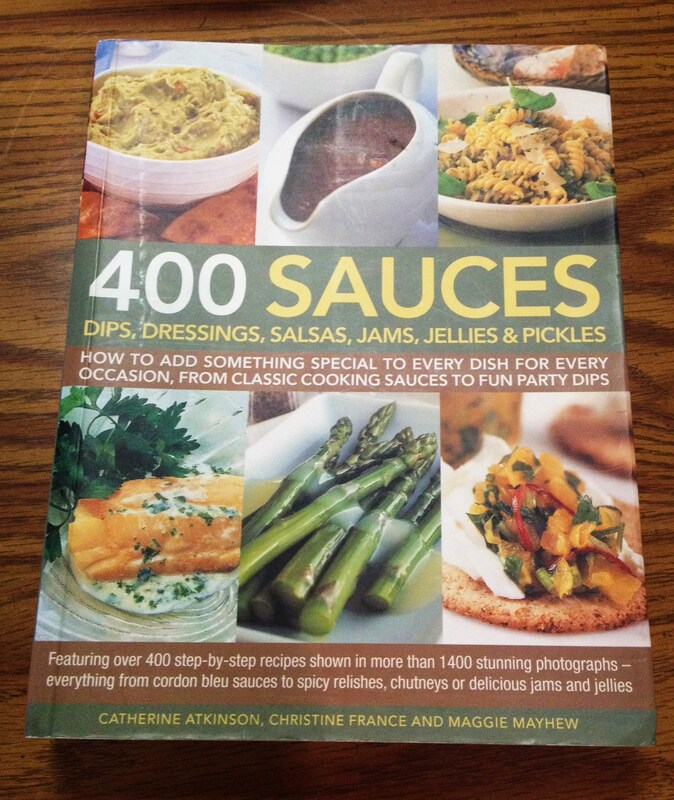 400 Sauces; Dips, Dressings, Salsas, Jams, Jellies & Pickles by Catherine Atkinsons, Christine France and Maggie Mayhew. This does not seem to be a well known book, in fact, I found this little gem in Singapore when Boarders Book Shop was having a closing down sale. 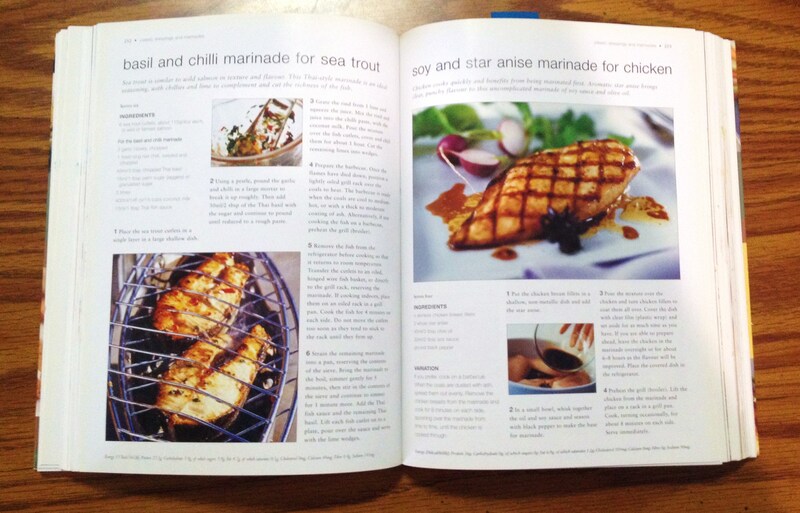 I was immediately drawn in by the beautiful photos and seemingly simple recipes. And I have not been disappointed yet! 400 Sauces has not only been consistently reliable, but it is such a great source of inspiration. I highly recommend it to anyone who is looking to liven up their weekly menus! Place yoghurt in large mixing bowl. If needed, beat the yoghurt until smooth. Add the diced cucumber*, finely chopped spring onions, crushed garlic and chopped fresh mint to the yoghurt and mix together gently. 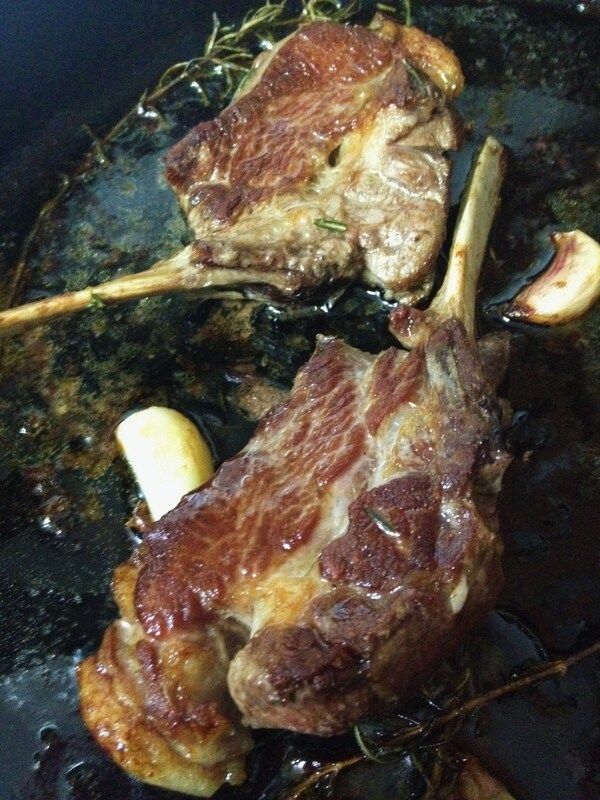 Finish off by adding salt and plenty of ground black pepper to taste. Transfer mixture to a serving bowl and chill until ready to serve! *Note about the cucumber. I often use half a regular size cucumber, but I peel it, half it and scoop out the seeds to avoid the sauce being to watery. There you have it – a super simple, super rich sauce that will bring a little sunshine to your table :) We had it together with these bad boys and it was a fantastic meal! Next > Jamie Oliver: Fighting for Food Education for Every Child! I’m missing this book from our bookshelf! I know it was yours, but we used it a lot. Pingback: My LCHF Kitchen Hacks! | The LCHF Club! This is a perfect summer sauce! Pingback: Series on Sauces: #1 Pesto | The LCHF Club!